After leaving the SEMA 2017 show full of inspiration, we found ourselves with the urge to build a project car of our own to enter into the 2018 SEMA Battle of the Builders competition. 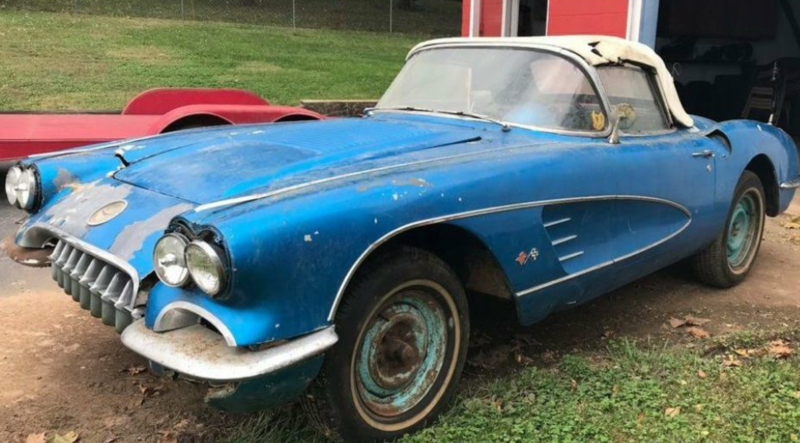 When we located a vintage 1958 Chevrolet Corvette, Chasis Number 20, we jumped at the opportunity to restore this battered classic back to its former glory. This job would require skilled professionals as well as quality products if it were to be successful, so we teamed up with our long standing partner, Doug Call from T&D Motorsports to lead the restoration and rebuild of Number 20. Despite the bad state we acquired this classic in, the entire Automotive Art team were confident it would end up being something truly special. 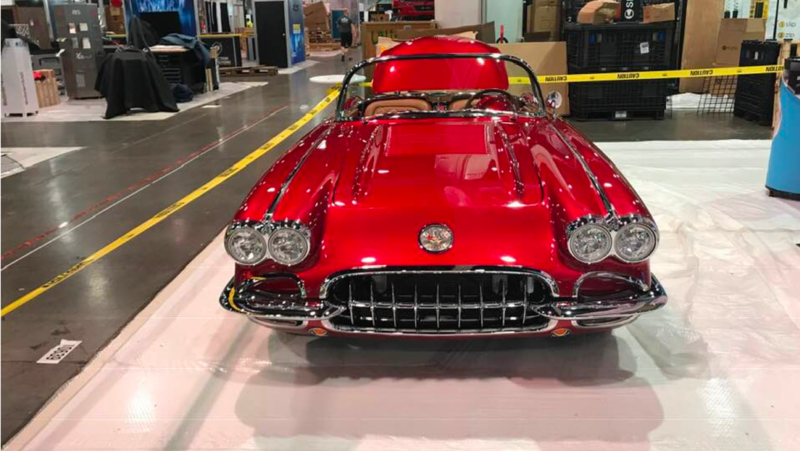 Restoration began from January 2018, where the interior was gutted and the car stripped back to bare metal, creating the perfect canvas to display the full potential and capabilities of the entire Automotive Art refinishing system. 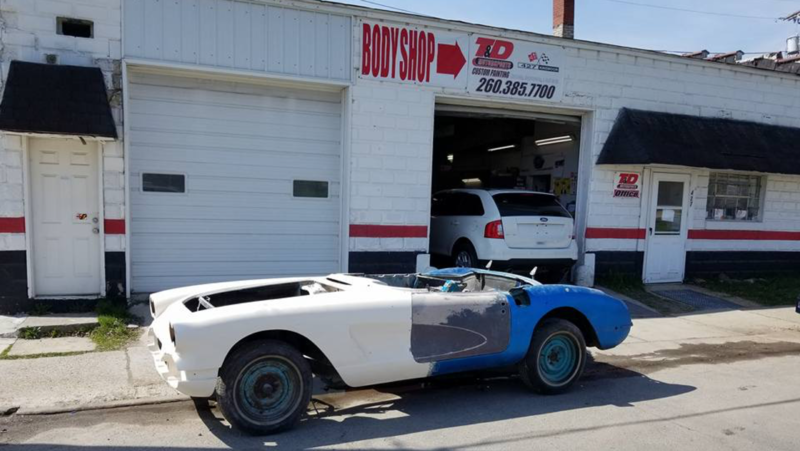 “It’s not always an easy job to pull a car through a complete restoration, but when you’re working with high quality products not only does it make the work easier, but it really produces a much better end product.” Call mentions reflecting on the past couple months while building Number 20. After nine months of intensive work, the team fulfilled their commitment to meet the project deadline of mid October, 2018. Number 20 now looks better than it probably ever has in its life - finished in a stunning Candy Apple Red, with subtle off-white accents for a timeless look. Number 20 was also outfitted with a new Chevy Corvette 6.2 LS3 V8 engine pulsating under the hood, giving her a truly authentic and raspy snarl when pressed out. “Doug truly went above and beyond. We knew Number 20 was going to be incredible but what we’ve ended up with is so much more. It’s a real testament to Doug’s talent and the importance that high quality products can make.” Commented Doug Armstrong, CEO of Automotive Art.